This video is part of the appearance, “VMware Presents at Tech Field Day Extra at Interop 2016“. 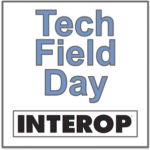 It was recorded as part of Tech Field Day Extra at Interop 2016 at 13:00 - 14:00 on May 4, 2016. Bruce Davie, CTO of Networking, introduces VMware NSX network virtualization and discusses the use cases and success stories so far.